Can't make out any of the text on the signage, which might help a lot. Can you provide hi-def scans of those parts? I'm guessing Hargrove was paved and widened at some point, based on the Sanborn map, so I think some of the land it sat on is now part of the street. 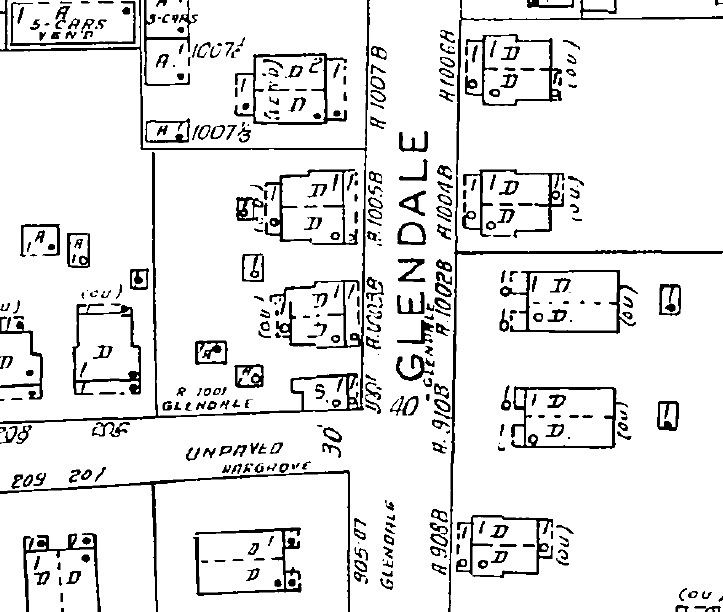 I think you're right - I totally missed that little store on the corner on the 1950 Sanborn map - it matches the northwest corner of Hargrove and Glendale - 1001 Glendale. You're still the Mystery Photo champ! I believe this is at the corner of Glendale and Hargrove, looking northwest. 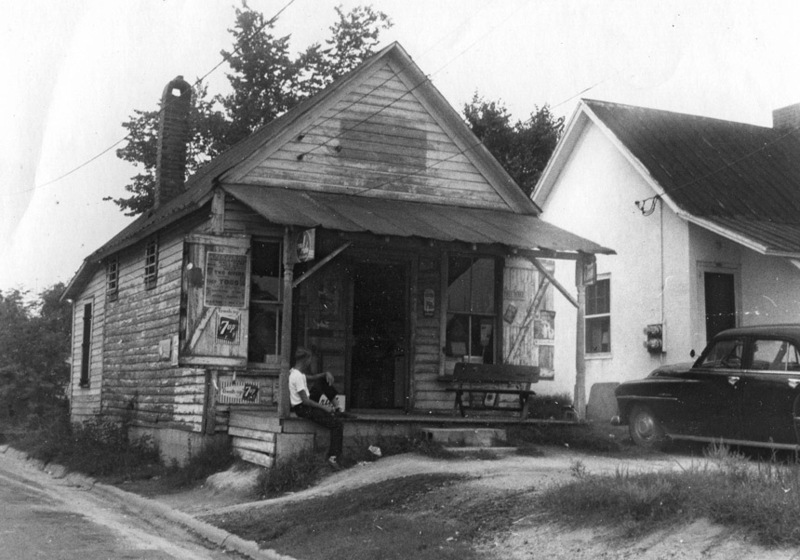 Pay attention to the house on the right of the old photo and compare to the modern building. Thanks Gary -- very helpful. The wrestling ad is for a match between Billy Two Rivers (according to wikipedia, "From 1957 to 1959, he competed primarily in North Carolina"). I can't find a reference to the other guy (Togg?). You may be right, but I don't think is necessary to assume the street was widened since the photograph was taken. The curb looks identical, and this narrow store is right up against both the street and the house next-door. It could have fit in that space. I think that store was still open as late as the 1980's - I remember going to a store called Glendale Grocery (I think) that was operated by one of my co-worker's cousins. Not much to buy except a soda and pack of nabs. 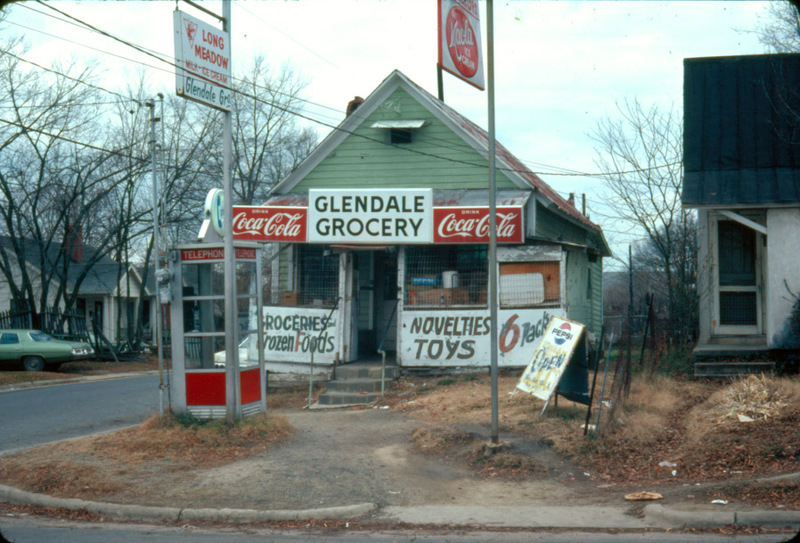 During the late 70s and early 80s this was our neighborhood store (Glendale Grocery). 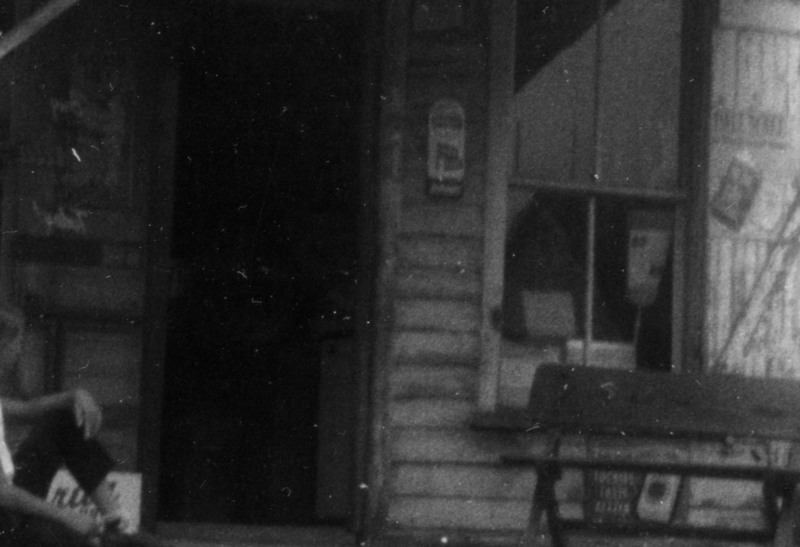 The store was operated by Ms. Marsha (I think her last name was Williams) and Mr. Shaw. 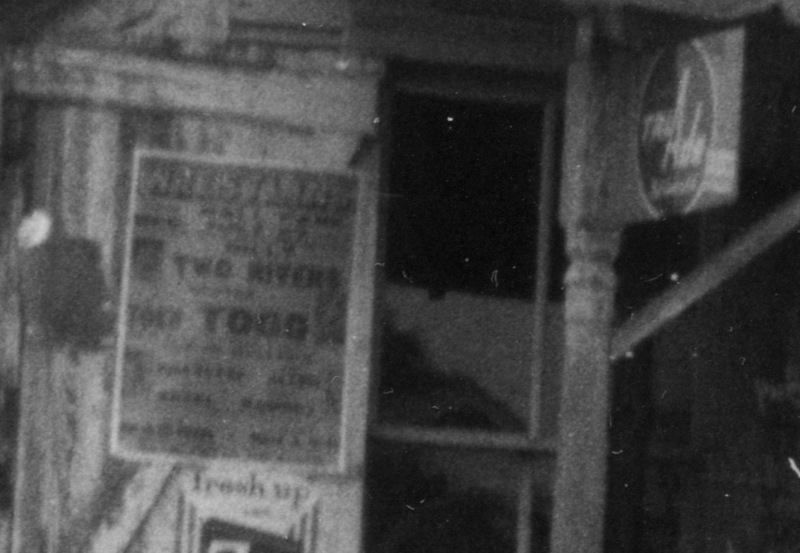 The store was located on the corner of Hargrove and Glendale Ave.
A few years ago, Bob Blake was kind enough to let me scan a bunch of the photos he took, primarily in the 1950s, which he used for his paintings. He said that he thought this store was located on Glendale Ave. Thanks Gary -- very helpful.